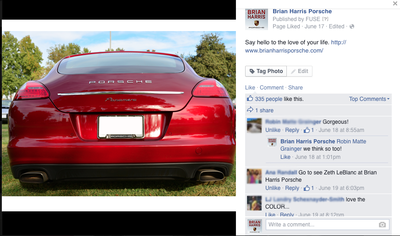 ​As a digital and social media assistant at SASSO, I managed Facebook and Twitter pages for a local Baton Rouge Porsche dealership that reached almost 5,000 Facebook fans. 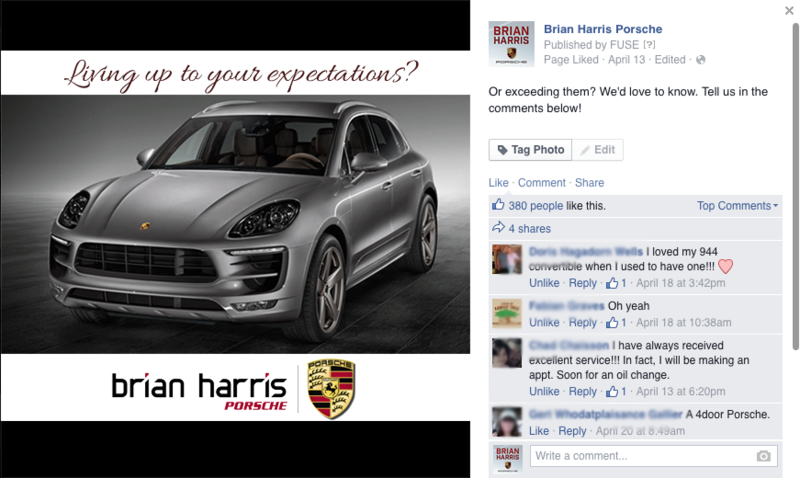 I wrote a weekly content calendar using a specific brand voice and created graphics using Adobe Photoshop and InDesign to increase engagement with Brian Harris Porsche's online fans. 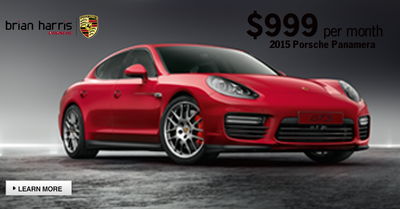 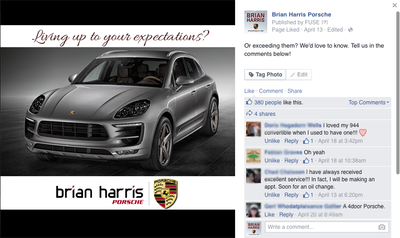 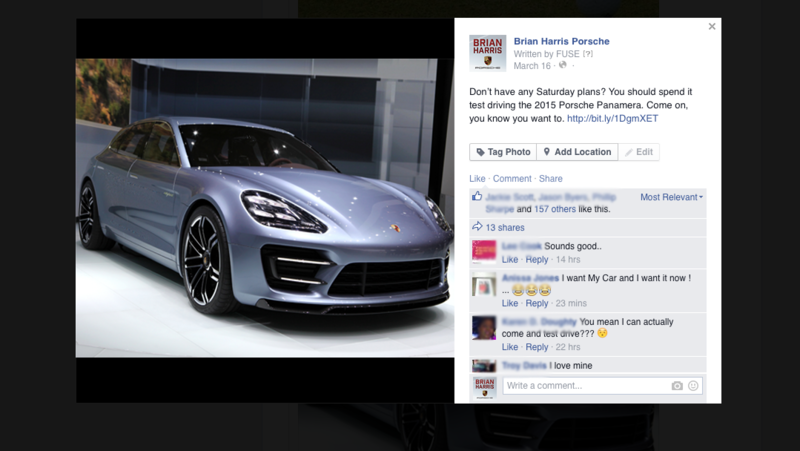 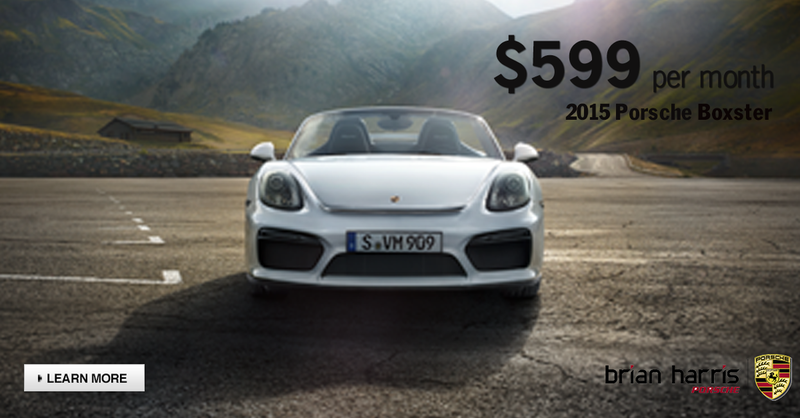 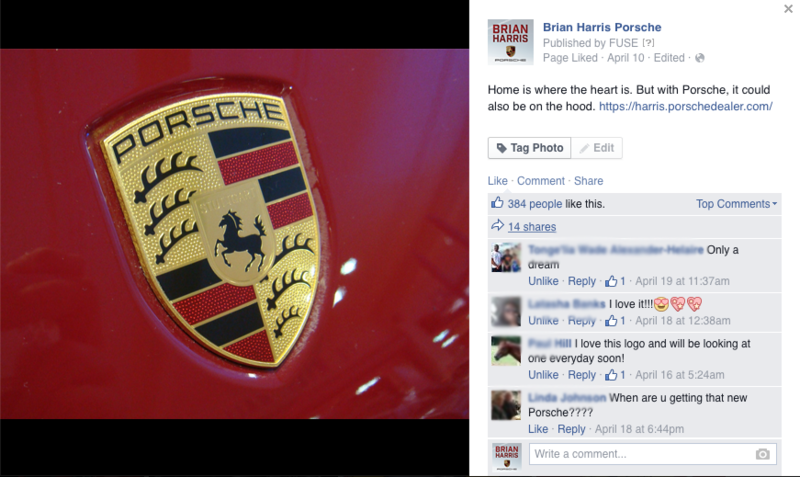 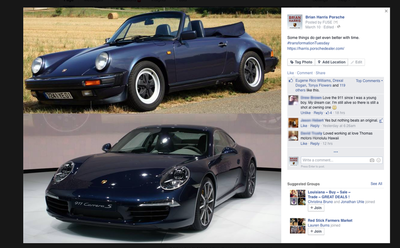 I also created multiple Facebook ads for Brian Harris Porsche to drive sales. Along with creating a content calendar every week for Brian Harris Porsche, it was also my job to create graphics to complement the social media post. 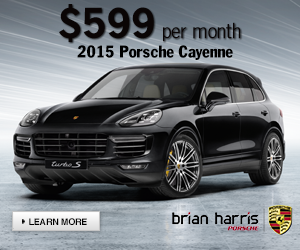 Some graphics would include: promoting lease specials, discounts and upcoming sales events. 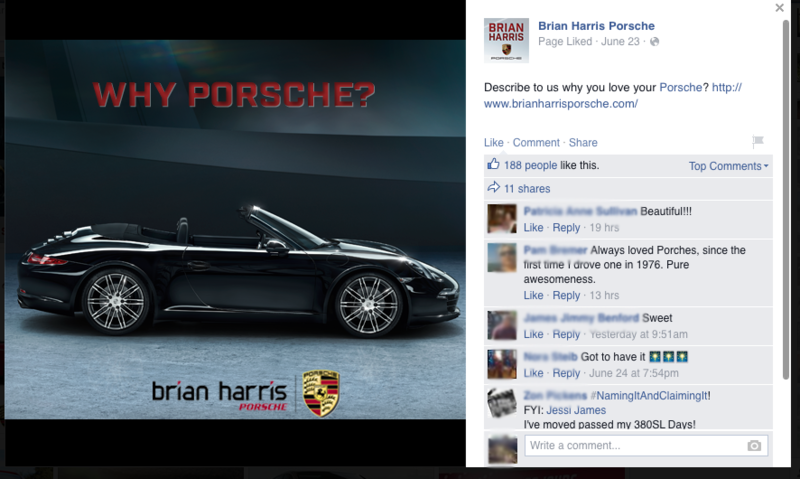 Facebook and Google ads were designed every month in the various Facebook and Google sizes to go alongside the promotions that the dealership was doing that month. Below are my designs for Brian Harris Porsche.